Cloud computing has opened up entirely new horizons of change. It's transformed the way people access data, making it easier for doctors to pull up clinical records on tablets, for example. It's changed the way companies pay for IT services -- trading big upfront capital expenses for monthly subscriptions. And it's sped up experimentation, allowing organizations to rent computer space on someone else's servers for an innovative new project -- instead of going through the time-consuming and expensive drill of buying a server and building the software. Organizations looking to equip business for the digital era would be hard-pressed not to find such changes attractive. So, how many are seeking a CIO with cloud expertise to head up IT? About 50%, said Eric Sigurdson, consultant at executive search firm Russell Reynolds Associates. Sigurdson specializes in recruiting senior IT leaders. "Half of them are saying, 'You know, I really want someone who's seen the future,'" he said. Those are "enlightened" companies -- the ones that know what skills will bring home the goods. At the other end of the cloud spectrum are "laggards that are just happy to keep the lights on," Sigurdson said. But the allure of benefits associated with cloud -- speed, innovation, cost savings -- is proving nearly universal, motivating even those CIO-seeking business executives who don't talk about cloud expertise. "They may not call it cloud, but they certainly say, 'I want Agile development. I want rapid development. I want fail fast -- small teams that come up with ideas quickly,'" Sigurdson said. When presented with cloud computing as a way of getting their hands on these wish-list items, they're game, thinking, "'If we can leverage someone else's assets, so we don't have to invest in it, makes sense.'" Of course, seeking out third parties to manage processes not essential to the business is not new, Sigurdson said. Retailers, for example, that wanted to focus more time and energy on selling goods could outsource IT operations in the 1980s and '90s, when IBM and the now-extinct Electronic Data Systems made their IT expertise and services commercial products. Cloud computing is the next wave of IT outsourcing. What's different now is big providers such as Amazon Web Services (AWS), Microsoft, Google and others offer up "almost unlimited processing power on demand -- things that any normal corporation can't afford," Sigurdson said. That's introduced unprecedented opportunity to expand and grow business -- something even companies without lots of cloud expertise can understand. Lisa Pearson, CEO at data management and analytics company Umbel, agreed that overhead cost savings combined with fast innovation is the true value of cloud. "The ability to draft and iterate on new products faster because of less cost associated is huge," Pearson said. Based in Austin, Texas, Umbel provides a platform that helps sports teams analyze fan data. "You see tech companies bringing new features to life much faster because of the cloud." The heightened interest among businesses in using cloud infrastructure and niche, software as a service (SaaS) applications means CIOs need to be adept at cloud vendor management, Sigurdson said. This isn't too different from managing outsourcers in the past. "You've got other people managing things for you instead of having your own resources doing it," he said. Both outsourcing and cloud are services outlined in a contract. When more horsepower is needed, the customer asks for it and, "they give it to you as opposed to having to go procure it yourself." Traditional outsourcing was different in that it was "this big, monolithic event," Sigurdson said. In some cases, all of IT -- including administration and network maintenance -- was transferred over to another company to handle. Cloud, in contrast, is done "application by application," he said. "You don't have to make it all at once. You're not saying, 'Hey, we are outsourcing to Amazon.' What you say is, 'I'm going to shut down this application and transition it over to AWS.'" 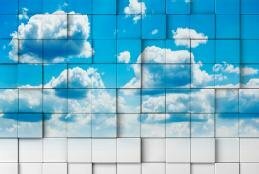 A bigger, newer challenge for organizations moving to cloud is managing the multi-cloud mix: integrating the data stored in those off-site, vendor-managed servers -- getting, say, Salesforce's CRM system to talk to human resources software Workday; moving workloads from on-premises servers to the cloud and back as needed; and installing a cloud management tool to manage the disparate parts from one on-screen console. "At the end of the day, it's all about the data," Sigurdson said. "Companies are really trying hard to get their arms around how we can extract data from these different systems to be able to leverage greater insights around decision-making, et cetera." Like vendor management skills, the ability to communicate within IT as well as with other parts of the business has always been a must-have aptitude for CIOs, Sigurdson said, but the cloud has revealed a new dimension. "It's more about just being able to describe the abstract," he said. CIOs need to make cloud computing concrete for the business; they need to be able to "persuade and to articulate how processing is getting done in a cloud-based environment." For example, they should be able to explain how, with cloud, the business is "actually getting more for less." For other companies, cloud is the means by which customers get goods. At Voxbone, a Belgian company selling communications as a service -- things like telephone calls and video conferencing offered through the cloud -- IT is intimately involved in the business itself, building new features and products, said Dirk Hermans, vice president of research and development. In addition to operational IT responsibilities, which he shares with the COO, Hermans is directly accountable for the design and development of core services. For him and the IT team, an important skill is carefully examining customer needs and wants and then figuring out how the company can fulfill them. "How can we make life easy for our customers to consume us as a cloud offering?" Hermans said. To answer that, he and Voxbone's tech teams have to stay up to date on the latest innovations in a fast-moving technology such as cloud; that way, "the user experience is a compelling one." The very nature of cloud computing demands that CIOs do something that would have been almost unheard of in years past: give up control. For some CIOs, that's hard, Sigurdson said. "You're empowering your suppliers to do things like protect the assets, protect the security of the information that you have." The classic fear, of course, especially in industries that have been slower to adopt cloud, such as financial services, manufacturing and insurance, is that the cloud is not secure enough for the most sensitive information. That's changing, though, as CIOs come to the realization that cloud infrastructure providers and SaaS vendors are "a heck of a lot better at being able to protect their assets than you are protecting yours," Sigurdson said. Consequently, more and more CIOs "are coming around to the need to be more open to cloud-based computing." Maybe not open enough, said Umbel's Pearson. She hears from customer CIOs, who are often involved in the process of buying the company's analytics platform. What they tell her time and time again is that their biggest concern is IT security. There are grounds for that, given the uptick in data breaches and the increasing sophistication and determination of cybercriminals. But there's a palpable downside. "It also is not creating an opportunity for CIOs to be looking at more efficient uses of technology or more innovative uses of technology," Pearson said. How important is cloud expertise in IT job candidates?